Please note there are spoilers in this review. If you don’t mind, please proceed. 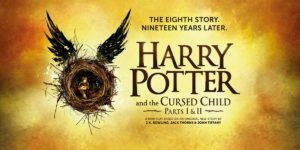 The eight book in the series, Harry Potter and the Cursed Child is not really a book, in the traditional sense, but a screen play. Think of the margins and edit of Shakespeare, and you’d be coming close. Due to the nature of the medium, there are two pieces of info you have to be mindful of, that many fans and reviewers were not cognizant over when reviewing this piece. 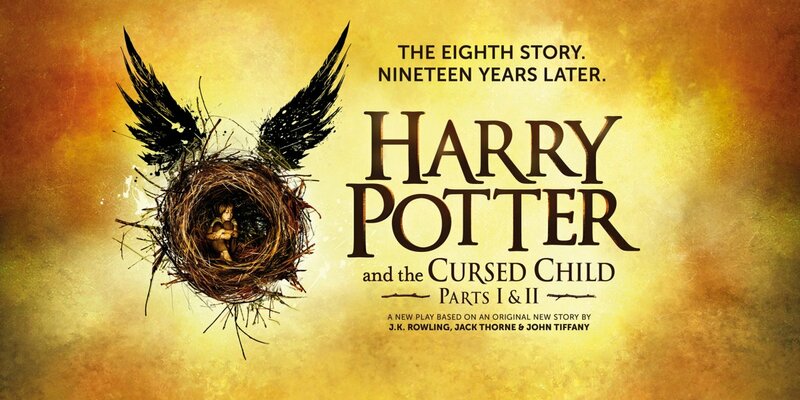 First, this was written in the format of a play, which is traditionally 70-80 minutes in length. Second, manuscripts are usually clocked at a minute per page. This book contains 289 active pages of dialogue and scene information, which is about the length of 3 1/2 full length plays. To keep the story going, lesser characters and their development will have to be pushed aside. To many reviewer’s chagrin, Ron was left as a very one dimensional player. To their dismay, in this story, both Ron and Hermione are third string characters, and I still don’t think many folks, after reading the book, realize this. Harry himself is a second string character, while the main story follows Harry and Ginny’s son Albus and Draco’s son Scorpius. 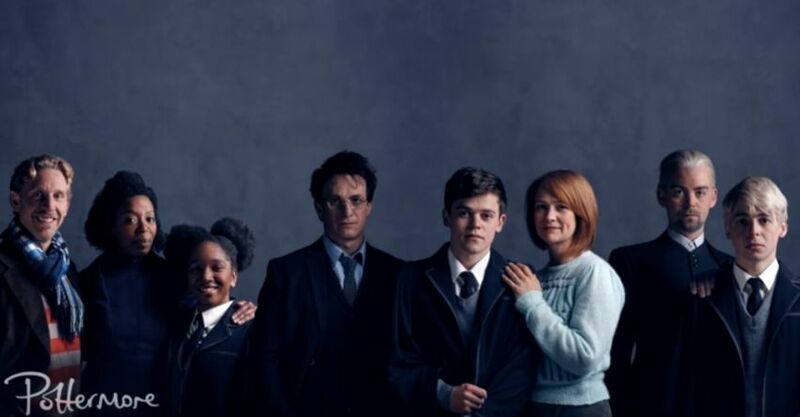 Ironically enough, very little was said about the two boys in many reviews, while most were irate over Hermione’s future in an alternate timeline and Ron’s character development. That being said, the real complaint I had with the book was the representation of teen rebellion and angst. It was too one dimensional. I think my biggest disconnect to the story was why Cedric? Yes, he was “the spare” but how would that change Albus’ relationship with his father? How would that change his overall value? What was the desired outcome that Albus was searching for? We get a presumption, but never a clear answer. The book is a mashup between a walk down memory lane and alternate fan fiction. I’ve read some HP fan fiction during my time and know what were some of the theories some fans had in the future of their favorite characters. There’s also a satisfying note when we meet up with an older Severus Snape during an alternate time line, where Voldemort was victorious at the Battle of Hogwarts, and finds out Harry names one of his children after him. I think those of us who were touched by the evolution of that character, especially after Alan Rickman’s death, felt a tug on their heart string during that homage. The script, and the world, is a work of fiction. For fans to apply present day realities and possibilities to it does as much injustice to the material as the last Batman vs. Superman film, which attempted to do the same. This script was made with the fans in mind, for the fans, in JK Rowling’s world, which consists of a magical world, centered on three families: The Potters, the Weasleys, and the Malfoys. Branching farther, and including more of the magical world, in this medium, would have made this story far longer than it already was, and made it more unruly. This is not a book, it’s a script, and as such, needs to be approached in that way. I’d give this a three out of five. I personally think the production would add more to the script, which may make it better, however, just the reading material alone, I still say “Goblet of Fire” is still my favorite in the series.